Your employees are clamoring for it. context is intentionally small so clients—not sales—are the focus. That's a difference you'll notice immediately. The other biggie? When we say we want to know everything about you, we mean it. We're intimate with our clients—the kind of intimacy that comes from working together for five years…eight years…and longer. When I founded context, I wanted to create not only a consulting firm that's in it for the long haul with clients, but one that's smart, innovative, pragmatic, unbound from bureaucracy and human. I also wanted a firm that focuses on one thing. I do wellness. It's wellness writ large. I work with clients who are keen to disrupt their current state and deliver, not demand better health. The National Business Group on Health, MarCom, Society for New Communications Research, and other organizations and media have recognized context's work with clients. I've been invited to speak at South by Southwest, J. Boye, the American Psychological Association's Psychologically Healthy Workplace Conference and Temple University's Fox School of Business “HR on the Ground” course. I founded context in 2003 after working for Hewitt Associates LLC, a global management consulting firm, in their Communication and Talent and Organizational Change practices in the U.S. and U.K. Prior to Hewitt, I worked in the Human Resources and Corporate Communications departments at CoreStates Bank, N.A. (seeing quite a lot of M&A action). Wanted: Elder Care Support at Work! Games: The Answer to Our Health Engagement Woes? Employee wellness: farce or untapped potential? From July 17, 2014 through October 6, 2014, Hotseat joins ZipCar, IDEO and others in an exhibit exploring design's impact on businesses and individuals. Greatist, a popular health and fitness web resource, teamed up with context to offer 200 readers a free Hotseat download. Hotseat was named Official Honoree in The 18th Annual Webby Awards. Nilofer Merchant, business innovator and TED speaker, recognized Hotseat as a tool for fighting "sitting disease." Dr. Soeren Mattke, the lead RAND researcher behind two workplace wellness ROI studies, gives us the lowdown. Forbes quotes Fran in an article exploring the difficulty of measuring wellness ROI. CoHealth Checkup welcomed WellPoint and Bloom Health to talk about private health and benefits exchanges. Hotseat is one of five games up for a People's Voice Award from The Webby's, the leading international award for excellence on the Internet. The first client launch of Hotseat is with a pilot group of American Heart Association employees and their guests. Fran joined a panel of speakers to discuss the health risks of "sitting disease." Mashable included Hotseat in its roundup of five social apps to encourage employee health and and wellness. The 2013 schedule for context's podcast series CoHealth Checkup is taking shape. Scheduled guests include AGIS Networks, Paychex, Healthways, and Cali Yost, work-life fit consultant and Fast Company contributor. MobiHealthNews calls Hotseat "game for everyone"
MobiHealthNews reviews Hotseat in this article about real health games and the trouble with gamification. Forbes quotes Fran in this article on the importance of recognizing and addressing depression in the workplace. WorldatWork includes Fran's article on "The Second-Generation Wellness Program" in their new book: "Well-Being: A Collection of Articles from WorldatWork." Ebix Health cites Fran about the importance of program and communication strategy in their white paper: "5 Ways to Promote a Healthy Culture in Your Workplace." This October, context celebrated nine years in business. Happy birthday to us! And a hearty thanks to all of our clients. Partners Healthcare has selected context to demo Hotseat for their Innovators Challenge, part of the 2012 Connected Health Symposium. The Miami Herald speaks with Fran about the tactics companies are using to boost physical activity at work and at home. The news organization Technically Philly featured Hotseat and our pilot opportunity. Human Resource Executive references Hotseat in this article on games at work. Hotseat is a health game that turns short breaks into meaningful activity. context and ShapeUp released the 2012 Technology + Employee Wellness Survey Report. This report details how innovators are using health technology to boost employee health engagement. Tufts University School of Medicine invited context to share Hotseat's story as part of their summer course, Mobile Health Design. Workforce runs down six social tools to underpin employers' wellness effort. Our new product Hotseat is one of them. Workforce magazine speaks with Fran about social approaches to wellness and cites data from context's and ShapeUp's 2012 Technology + Employee Wellness Survey. context and ShapeUp are holding a webinar to discuss the findings from their 2012 Technology + Employee Wellness Survey. This annual study reviews employers' adoption of technologies to boost health engagement. context launched the website for our new product, Hotseat. This health app employs nudges, game play and social networks to turn short breaks into meaningful activity. context will demo Hotseat, our social gaming app that decreases employees' sedentary behavior, as part of the 2012 Games for Health Conference's Out & About: 3rd Annual Mobile Serious Games Conference. On Thursday, April 26, Fran and Dr. Rajiv Kumar join the popular radio program to discuss a more social and game-like approach to wellness. A Forbes article on why employers should renew their attention to talent management quotes Fran about the well-being connection. context and ShapeUp co-authored a paper on the evolution of health games and their effectiveness as an enterprise wellness solution. context's blog, free-range communication, was named #16 in Fistful of Talent's Top 25 Talent Management Blogs for 2012. Human Resource Executive recognized context's high-deductible health plan game as one of its "Best HR Ideas for 2012" in the Employee Benefits category. Employee Benefit News interviewed Fran Melmed and two clients who successfully used context's game to increase understanding and enrollment in their high-deductible health plan (HDHP). The game is part of context's overall HDHP education suite. 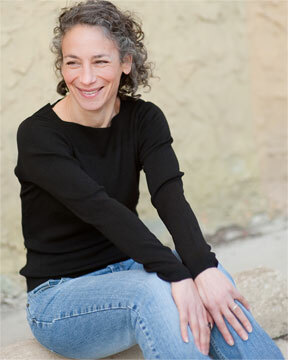 Luminary Labs names Fran Melmed "Provocative Health Keynote Speaker"
Luminary Labs, a strategy and innovation consultancy, named Fran Melmed to its list of mind-blowing, provocative health keynote speakers. context's virtual community for wellness innovators, CoHealth, is offering the opportunity to test MeYou Health's Daily Challenge. MeYou Health is a subsidiary of Healthways, Inc.
Fran Melmed moderated three panels at Health 2.0 San Franscisco, which drew 1,500 participants and involved over 130 health technology demos. Paper.li, a news curating tool, interviewed Fran Melmed about workplace wellness and CoHealth, a workplace wellness community she co-founded. For the fourth year in a row, Saint-Gobain, one of context's long-standing clients, has been recognized by the National Business Group on Health as a Gold-level Best Employer for Healthy Lifestyles. Employers are recognized with a Gold award for "creating cultural and environmental changes that support employees who are committed to long-term behavior changes." context was awarded the Social Media Stars award from the Philadelphia Business Journal along with fellow winners: visitPA tourism campaign, HBO's True Blood campaign and others. CoHealth, a virtual knowledge community for those invested in employee wellness, has formed a LinkedIn group. Fran returned with fellow guests Greg Matthews and Tanya Barham to talk about wellness communications, incentives and ROI. context won a MarCom Gold Award for work done with Saint-Gobain Corporation on their “Recharge. Move. Take Control.” health campaign. context was recognized for its innovative use of social media, including Twitter, podcasts, blogs and forums, as part of Saint-Gobain's wellness communication strategy. Fran will be a guest speaker on HR Happy Hour, a live radio show, to talk about wellness and why businesses are so keen about it right now. For the third year in a row, Saint-Gobain, one of context's long-standing clients, has been recognized by the National Business Group on Health as a gold-level Best Employer for Healthy Lifestyles. Fran spoke at the American Psychological Association's 2010 Psychologically Healthy Workplace Conference regarding best practices for simple, fun and focused health communications.